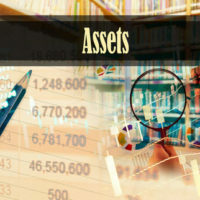 Make a thorough inventory of all marital assets. As part of your divorce proceedings, you will need to submit an inventory of marital assets to be divided between you and your spouse. Under Section 61.075 of the Florida Statutes, this includes your home and any other personal property, as well as retirement accounts, deferred earnings, stocks, and other financial benefits. Pay close attention to any potential sources of future income or earnings you may be entitled to, and make sure they are included in your property settlement. If most of your debts have been held jointly in you and your spouse’s name, consider opening individual accounts to help reestablish your own credit. Early in your separation, aim to pay off any debts accumulated during your marriage, and close all accounts to avoid incurring more joint debt. Consider your health insurance policy. Medical expenses can wipe out any savings and eat up a large portion of your income. If you are currently covered under your spouse’s health insurance policy, you may be able to extend benefits through COBRA, or have health insurance included as part of an alimony agreement. If you and your spouse maintained life insurance policies, either on your own or through an employer, check cash values for money you may be owed. Consider continuing coverage or buying a new policy once you are divorced, but make sure to update the beneficiaries named. Make changes to your will and other estate planning documents. In addition to your life insurance policy, be sure to update any wills, trusts, or other estate planning documents to reflect the changes in your marital status as well as in your heirs. Contribute to an individual IRA account. Invest in your own future by putting away something towards retirement. If you are not offered a retirement account through your employer, you may be able to participate in the myRA program, through the U.S. Department of the Treasury. You can open an account with little money down, and earn the same higher interest rate as you would through an employer offered plan. If you are going through a separation or considering filing for divorce, contact the Vanessa L. Prieto Law Offices, LLC today. Our passionate Fort Lauderdale attorneys are eager to assist you with your case.